This article will show you how to access data stored in a DynamoDB table by connecting to the AWS DynamoDB service and visualize the content within a Telerik RadListView element. Please note that you can use the local version of DynamoDB to setup and test your application. This article shows a real example where an actual DynamoDB web service is used. 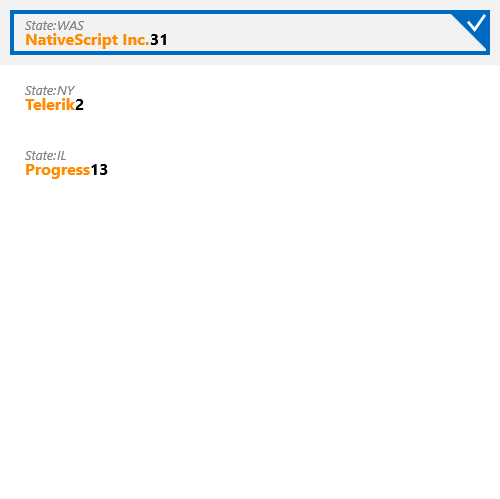 Create a new Xamarin.Forms application and add the required assemblies in order to use the controls from the Telerik UI for UWP suite. For the purpose of the example, we are going to use the RadListView control to show the different items available within our DynamoDb instance. In Visual Studio open the NuGet Package Manager and install the DynamoDB module. If you do not have a AWS account in Visual Studio please check the Getting Started article. As our database contains a list of customers, define a Customer class that will hold the data for a single record. Now add a class called MainWindowViewModel to the example. It will handle all the functionality for managing the DynamoDB database. First of all, create the Customers collection which will hold the entries from the database and the method that creates the Customers table. Now that the table is ready you can add some data by adding the following method to the ViewModel. Now set the DataContext of the page where the RadListView element is hosted to be the MainWindowViewModel so that the table is created and the entries are added. If you run the code at this point you will be able to see the data in your AWS console. Now you are ready to populate the RadListView control with the data by iterating over the records in the database and adding items to the Customers collection. If you now call the LoadData method in the constructor of the viewmodel, the grid will be populated with the entries from the AddCustomers method.